We currently have 4 custom built rigid Inflatable boats that are specially designed to travel up to 10km out to sea in search of these wild dolphins. 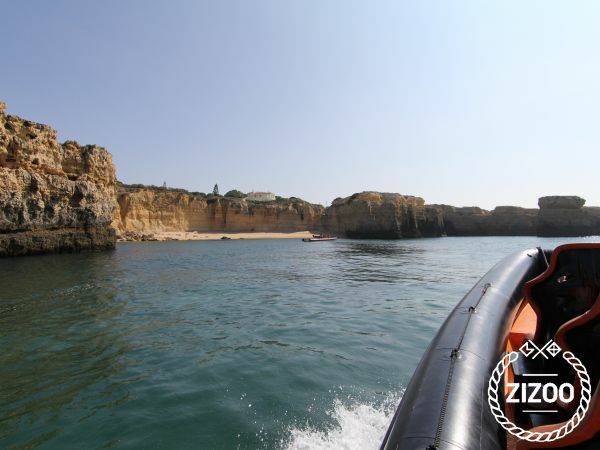 This amazing dolphin watching and cave tour experience is operating 7 days a week and there is one of our custom built dolphin boats departing from Vilamoura Marina every hour. Our professional photographer will take photos of your party as you board your boat and these souvenirs are available for you to view up on your return.